You may find yourself in such an occasion when downloading a TS movie, it occupies over 20G in your device. What’s worse, it is broken into several video clips sometimes, which makes it inconvenient to you to watch the whole movie. If you are encountering such situation, TS joiner is an excellent way to help you out. Keep reading to know how to join .ts files. If you have similar problems and also want to combine TS files into ones, lucky as you are when browsing this article. If you want to join TS files, WonderFox HD Video Converter Factory Pro is a good choice for you. HD Video Converter Factory Pro is a full-featured video and audio converter and it can power up your videos and save space of your devices. 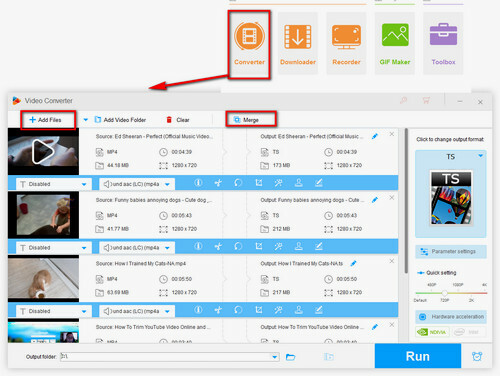 You can combine TS files without the video quality loss using HD Video Converter Factory Pro. Free download it here, just clicks on it. 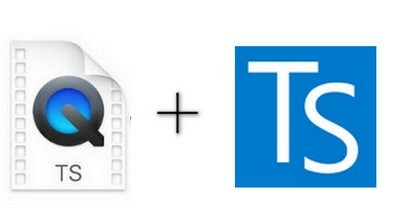 TS files are customarily saved in a sequence of multiple video files with .ts extension, such as filename1.ts, filename2.ts and etc. By comparison, more people would like to merge TS files as a complete video file rather than saving them in plenty of messy TS video clips. It may be quite a bit difficult for those who are not expert in software or computer technology to merge video files, which requires professional tool as well as complicated operating steps. Therefore, a good software is a must to solve the problem. I have an easy-operated way for you to combine .ts files using a good software - WonderFox HD Video Converter Factory Pro. Next, I will introduce how to use the software. Tutorial – How to Join .ts Files by the TS Joiner? Please free downloadfree download the software before next steps. Run HD Video Converter Factory Pro. Click on the “Add Files” button and add the TS files in batches. Or directly drag and drop the target files into the window. You can click on the “Merge” button after checking the videos you want to merge. Then next is a simple drag and drop process. You can select all the video in one step. Just select all the videos with your mouse then click on the “Merge” button. And if you add a wrong video unheedingly, you can click on the wrong video then click on the “Remove” button to remove it. 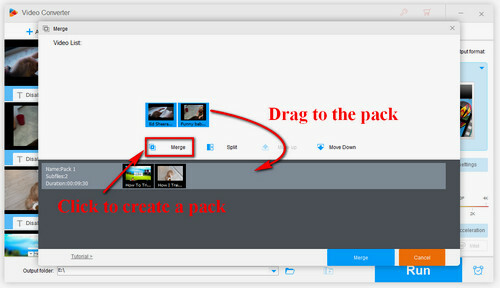 If you create a wrong pack, you can click on the “Split” button to clear it. 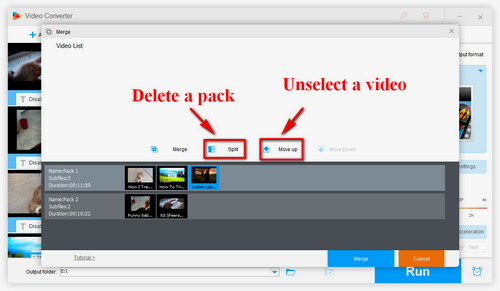 What’s more, you can adjust video order by drag-and-drop. And you can create Pack 1, Pack 2 and more at the same time. After that, hit the OK button, the software is working for you automatically. HD Video Converter Factory Pro supports more than 300+ files format and devices. You can also convert the packs’ output format as you wish. 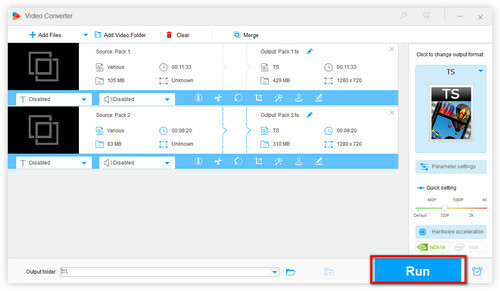 For instance, you can choose to convert MTS to MOV, MP4, AVI, MKV and etc. I hope this article can help you out. You will easily join TS files after reading this article. If you think this article is helpful in merging multiple TS files, please share this with your friends. HD Video Converter Factory Pro supports more than 300+ files format and devices, such as MP4, AVI, MKV, WAV, MP3 and etc. You can use HD Video Converter Factory Pro to convert your video into various format with original quality preserved. It can compress your large files and save your space of device. Still hesitating? Just trust me and download it. It deserves your trust!